Our Electronic Ticket Machines (ETMs) are customised to operators and individualised to the lives that passengers lead. It’s an integrated ticketing system that drives insights, informs operations and fuels revenue. And as technology progresses and passenger preferences change, so do our ticketing systems, future-proofing your business. 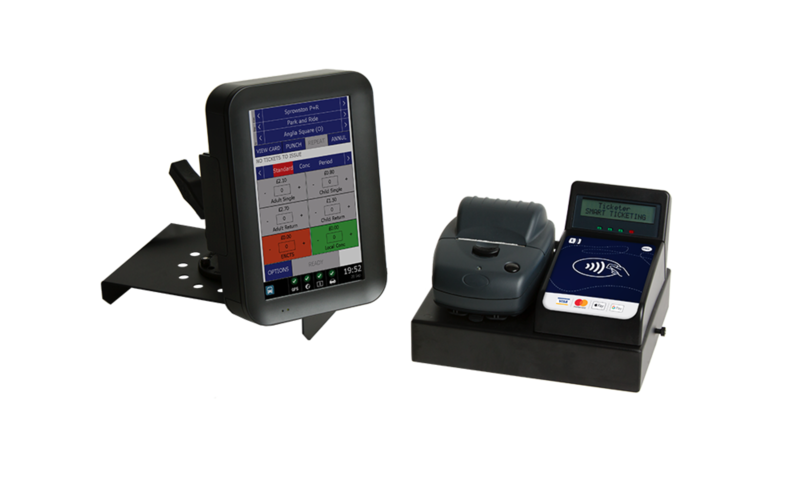 Supporting wave-and-pay contactless, ITSO, m-Tickets and cash. So operators can meet the needs of passengers, and passengers can pay in a way that suits them, all the while improving boarding times for everyone. Low-cost mobile connectivity delivers real-time visibility of your entire service performance. Monitor sales, location and punctuality in real-time, so you can spot hiccups before they become a problem. Our cloud-based back office means everything is delivered remotely so nothing needs to be installed on site. Speeding up deployment without any costly call-outs, giving operators the most resilient, up-to-date and lowest cost system. Managing tickets and fares has never been easier, for both the operator and driver. No need to be a tech expert, operators can create and update fares and services at the drop of a hat, and drivers can sell tickets quickly and efficiently. But we’re there if you need us without any extra charges. With GPS tracking on all machines, operators have accurate, real-time visibility of all buses. Giving live location reporting without multiple pieces of kit on the bus, plus, data can be shared easily with local authorities and customers. Per-stop timetables can be loaded for back office monitoring and reporting. Operators can see when buses are running to timetable, and drivers can see where they need to take action to avoid early running. Configuration and reporting can be accessed from anywhere via the web-based portal. Access your data from your laptop or on your phone on the move, so your back office is with you 24/7. Our per-vehicle licensing model means fixed costs, with ongoing software updates included without extra charge. 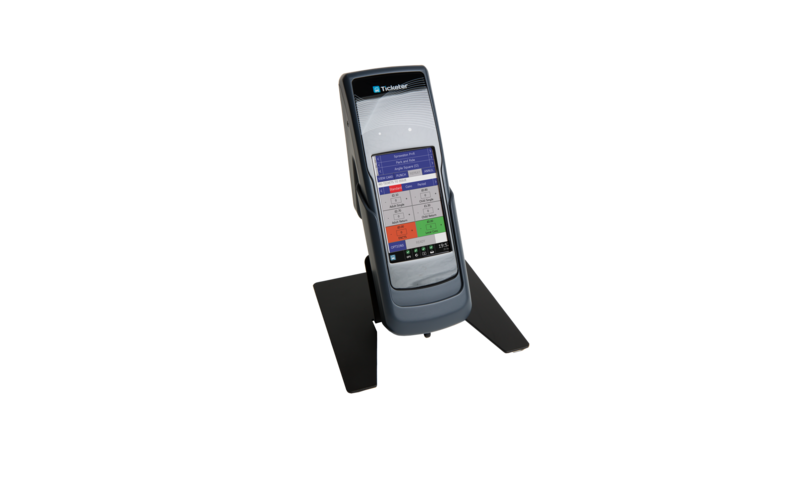 Giving operators the lowest cost of ownership around. Our ZipTrip passenger app features bus stop countdowns, journey planning & optional m-Ticketing upgrade. Giving your passengers the modern experience they want from public transport. Great things really do come in small packages. Ideally suited to smaller passenger vehicles or coaches, it does exactly the same as Ticketer standard but with the added bonus of it being totally mobile. 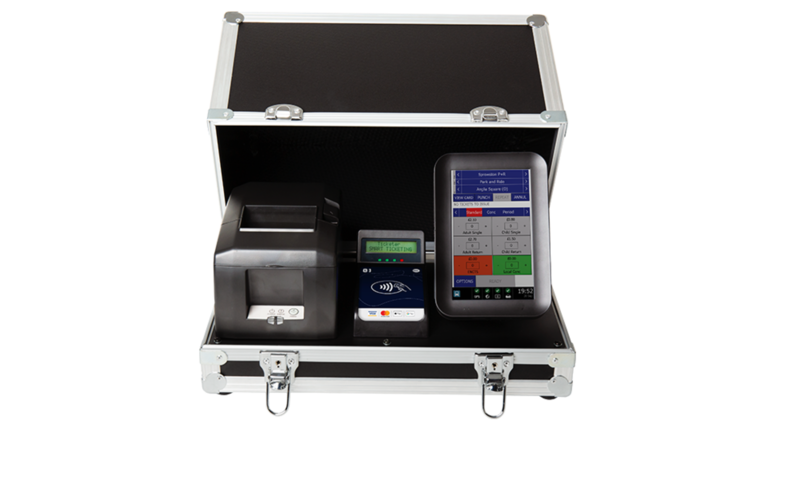 Our most popular ticket machine, perfect for fixed installations and busy urban routes. 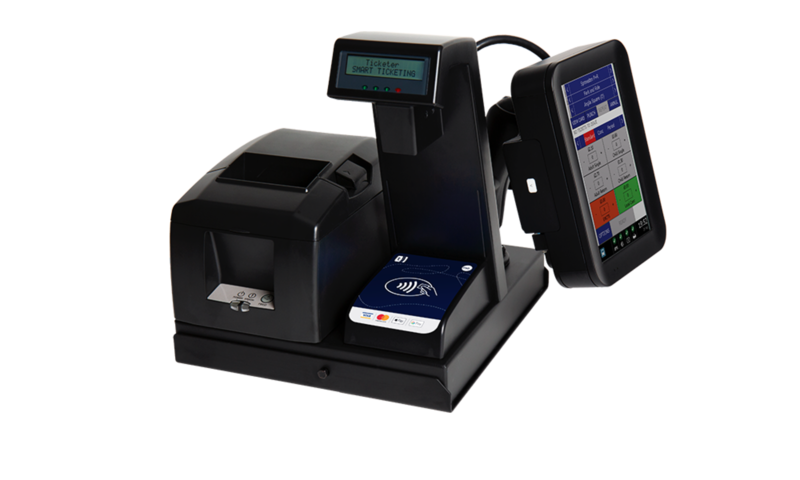 It has an adjustable screen, printer, ITSO certified card reader supporting contactless payment and an optional barcode scanner. This is designed for setups where the passenger boards away from the driver, such as smaller community buses. It has the same screen size as our standard model, but with a smaller printer and a separate smartcard reader.